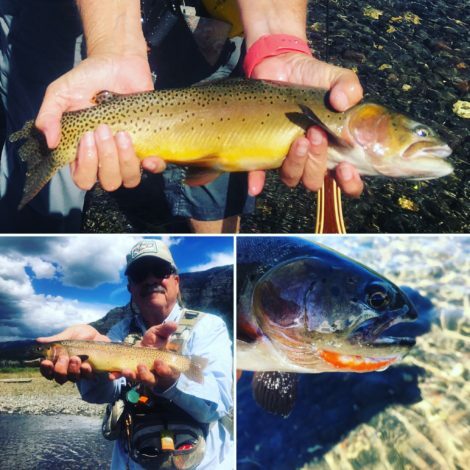 We were blown away by the beauty and fish we encountered all along Rock Creek, from Clinton to Philipsburg MT. And while the fishing was absolutely incredible, with fish rising to hoppers, ants, Purple Haze, caddis and even some “secret” flies…. the reminder about “Its Not About the Fish” kept coming back to us. 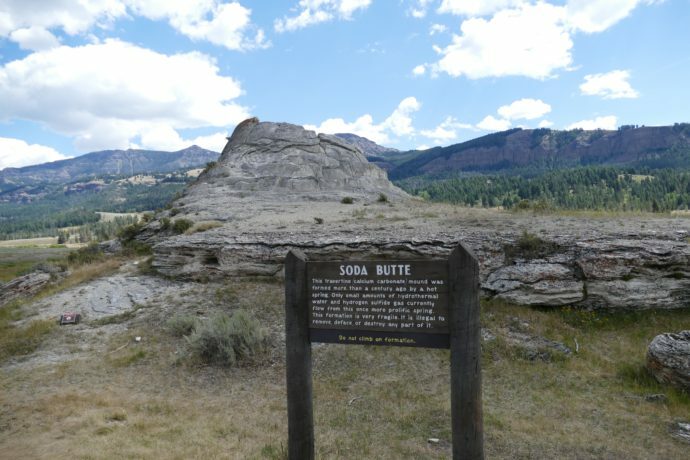 Our guide on the Blackfoot, Ben DeMers, surprised us by dropping off my fav area beer (Cold Smoke Scotch Ale, KettleHouse Brewing, Missoula) AND a couple of his super secret flies at the SaraLinda. We were out fishing and missed seeing him but put the secret fly to good use as you’ll see in the video. Thanks Ben!!! He also turned us onto a great little bar and grill, Poor Henry’s in Clinton. Awesome burgers and cold beer… what’s not to love. Our great Bozeman friends, Sue Doss and Dud Lutton told us about Philipsburg (MT) and its incredible candy store so we had to make that visit. And of course, we also discovered a great little brewery, Philipsburg Brewing. We also found the upper reaches of Rock Creek held some beautiful cutthroat trout. We parked the SaraLinda at Ekstrom’s Stage Station in Clinton, right on Rock Creek. 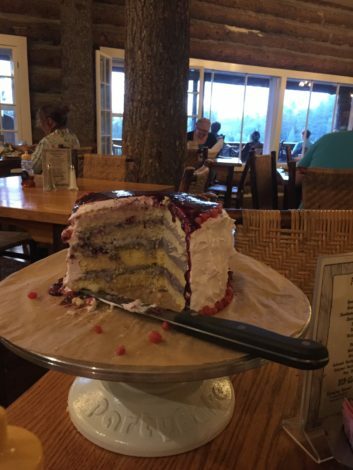 This place is fabulous as a campground and has a superb restaurant on property. They also have a bakery that concocts all sorts of goods including a gigantic cinnamon roll that you’ve gotta get if you’re ever here. Right next door is the Rock Creek Fisherman’s Mercantile with everything you need for fly fishing Rock Creek, including flies and great intel on where you might fish. As for wildlife, the bighorn sheep here were hanging out on the mountain when we left to drive up the forest service road along Rock Creek. 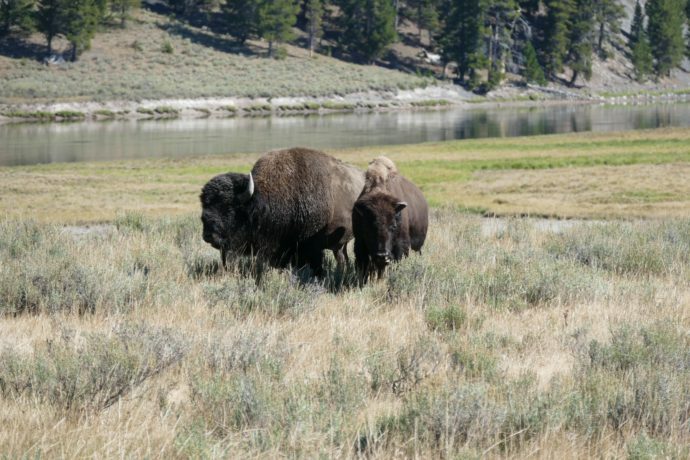 When we returned, they’d moved into the valley to graze. Barb counted 24 in the herd we encountered. See if you can count them in the pic included in the video. Speaking of that video, we hope you enjoy the video highlights of our time on Rock Creek between Clinton and Philipsburg. We’ll most definitely be coming back to fish with Ben again, stay at Ekstrom’s and enjoy the incredible beauty and fishing along Rock Creek. 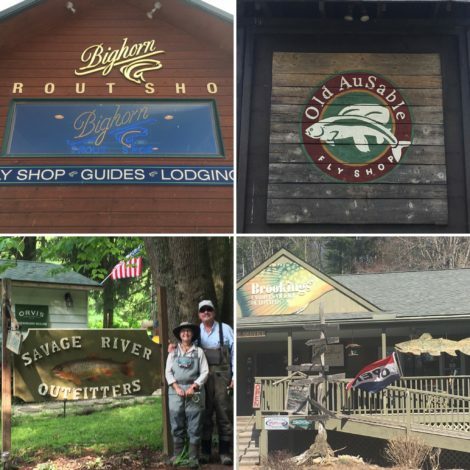 As we embarked on our “River Ramble” tour of the TU Top 100 Trout Streams we vowed to immerse ourselves in each community we visited. Part of that process was to always “Buy Local” as our friends at Simms put it. To that end, we always frequented the local fly shops, the local grocery stores, the local breweries, local restaurants, the local music scene and so on. We always tried to avoid the “chain” businesses. Nothing wrong with the chains and big box stores, but we wanted to support the local communities wherever we could. While there are numerous highlights of this perspective on our journey, here are a few that stand out so far. 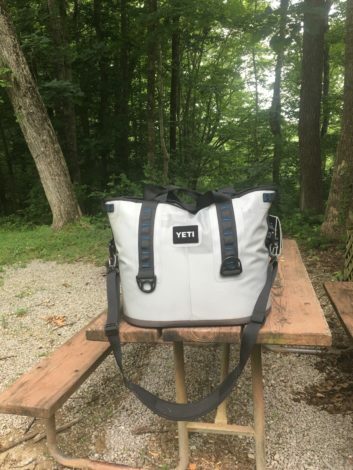 Our hometown is Austin, TX so Yeti was a natural to handle our cooler needs. We’re traveling with a 30qt “Hopper” which has saved us on numerous occasions. Forget the fact that its kept our beer, sodas and water ice cold along the way…. we’ve had a couple of refrigerator breakdowns in the SaraLinda which caused us to make the Yeti our primary frige. Many thanks to the Texas Apple team who gave us a going away gift certificate that led to our Yeti purchase. Our second hometown is Bozeman, MT, headquarters for Simms Fishing Products. Simms is a quality company making the best waders, boots, jackets and other gear to keep you “dry, comfortable and protected from the elements – no matter what the conditions”. 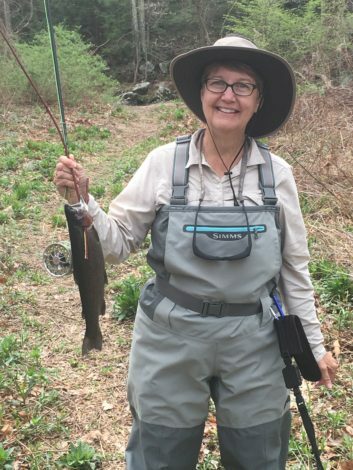 Barb and I both wear their waders and boots and given how much we’re fishing (over 135 days so far this year), they’ve held up incredibly well. 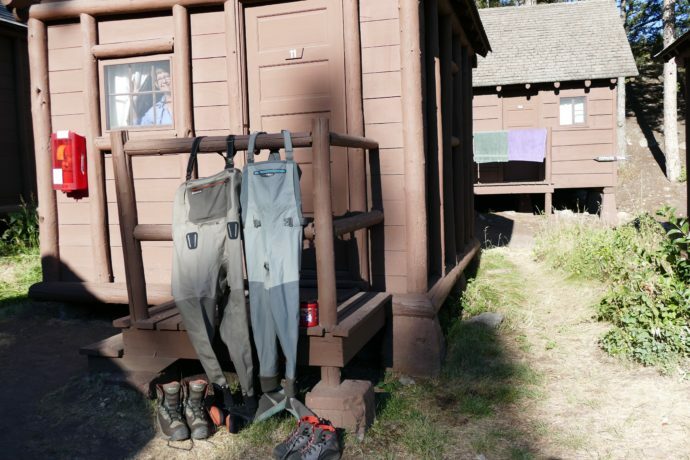 They also are the sole wader manufacturer in the US…. not just a local company, but local waders too! I really want to give a big shoutout to all the fly shops we’ve visited so far (see full list at end of post). It started at Unicoi Outfitters in Helen (GA) and most recently, the Bighorn Trout Shop in Ft. Smith (MT). Nothing can replace the local knowledge these shops have concerning safety on the rivers, the best spots to fish that match your abilities and what flies you’ll need to catch fish. They also employ great guides that provide memorable trips on the local waters. What has impressed us most has been the feeling of community and even family in these shops. Of course you come in and tell fish stories after a day on the water. But we were also invited to local TU dinners; into shop owner’s homes for drinks, dinner and more fish stories; told of numerous “Nunya” streams to fish; and gone out to local breweries with shop staff and guides. These are local folks with a passion for fly fishing, their local fisheries and their local communities. Of course, we want to support them at every stop along our ramble. We’ve had so much fun asking guides and shop owners what their favorite local beers are. I think we’ve tried every recommendation and more along the way. 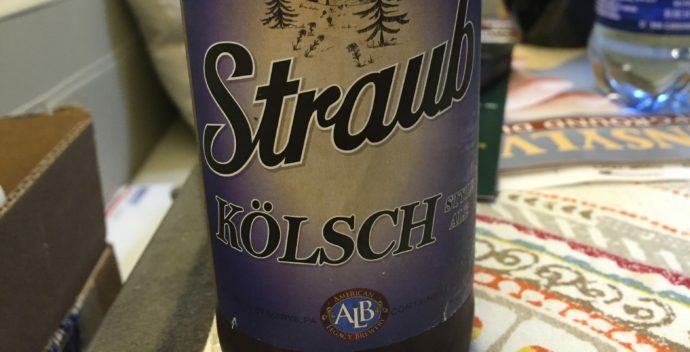 There are so many we could call out but so far, one stands out in particular, Straub Beer in St. Mary, PA. Since 1872 Straub has been brewing the finest beers and has been designated an American Legacy Brewery. We first encountered Straub in Slate Run PA. We had the pleasure of meeting a member of the Straub family at the Slate Run Tackle Shop. Later on, we were invited to dinner at Tom and Deb Finkbiner’s place and when we opened the fridge, every single type of Straub Beer was there…. and yes, I sampled them all. Awesome beers! Furthermore, Straub is a major supporter of fly fishing and in particular, the on-going efforts establishing Pine Creek as a world class trout stream. Given the beautiful brown trout we caught (and released) there, they are well on their way. When we pulled into Irons RV Campground in Michigan, we asked where the nearest grocery store was. I’d done a little research and found about 30 miles away was an IGA. 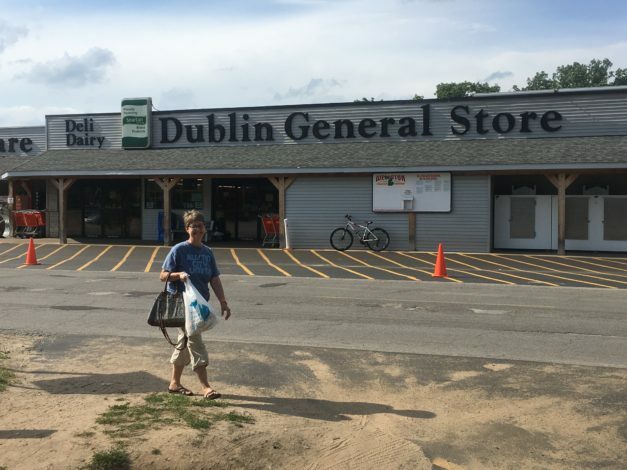 However, our campground host said we had to go to the Dublin General Store. OK… wanting to stay true to “Buy Local” we took the 15 minute drive to the store, sitting pretty much in the middle of nowhere and were blown away. It’s been in operation for 81 years and if there is one thing its know for, its jerky. What caught our attention was summer sausage infused with morel mushrooms…. WOW! And it didn’t stop there. We found gourmet cheeses, a full service grocery store, a full meat market, a phenomenal beer selection and more. Half of the store is devoted to food and the other was essentially a hardware store. What we learned from some of the other shoppers was that the store is a destination for many in Michigan. One couple indicated they came up each year specifically to buy jerky, summer sausage and meats. There are many more we could have mentioned, but to just give you some “local” flavor, these stood out. We are excited as we continue our ramble to discover even more of these local gems along the way.